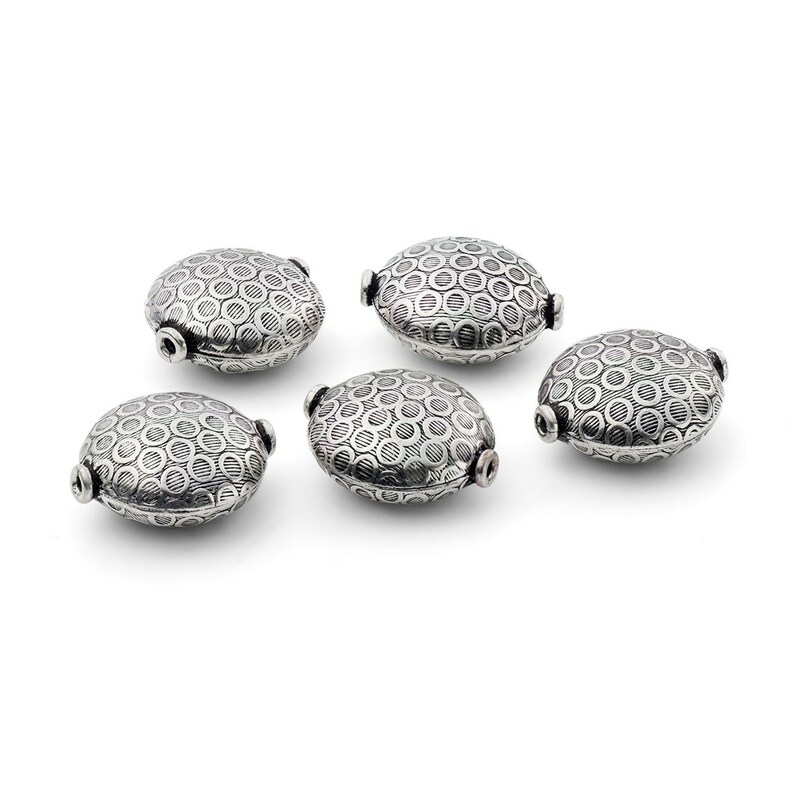 These gorgeous silver plated puffed coin beads have a lovely Indonesian style to them and at a generous 20mm they make great focal beads. 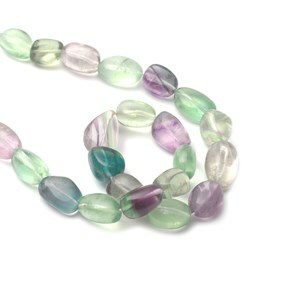 They'll look great on a necklace (we think they're the perfect match to our lava stone beads) and are light enough to be used on earrings if you like to make a statement! 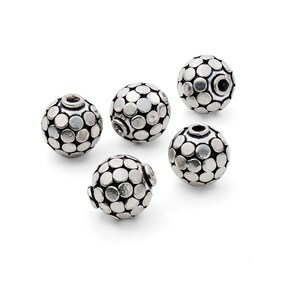 They have a nice oxidised look to them which picks out the detail on the beads. Approximately 20mm. Holes measure approximately 1.5mm.